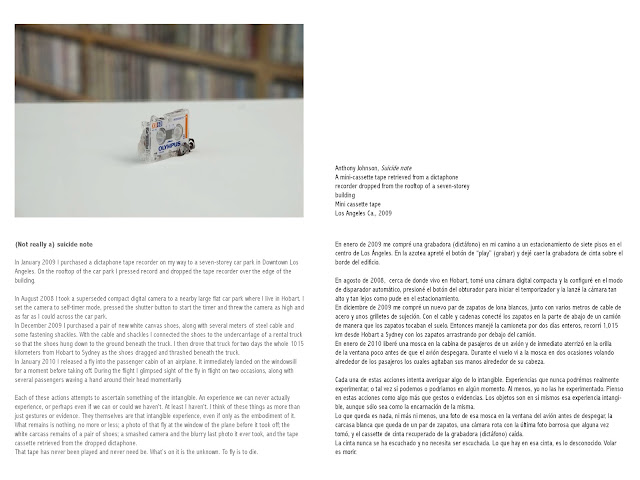 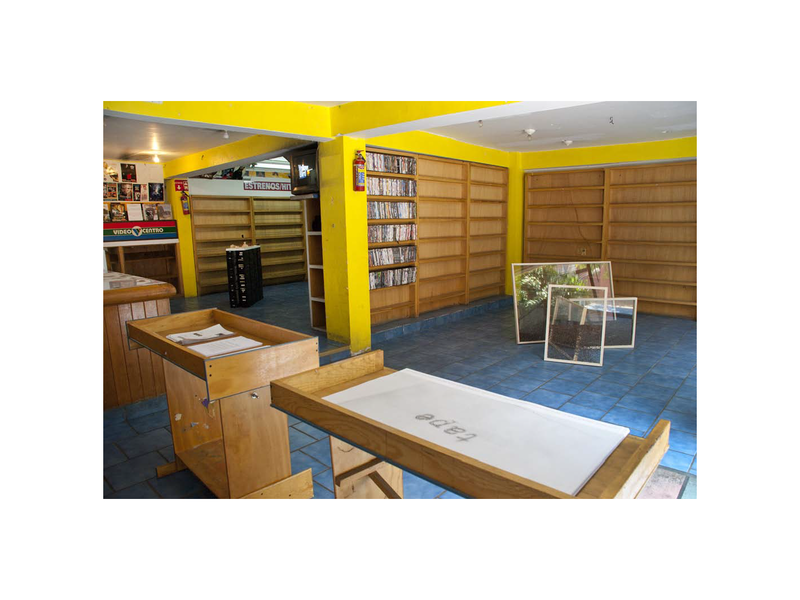 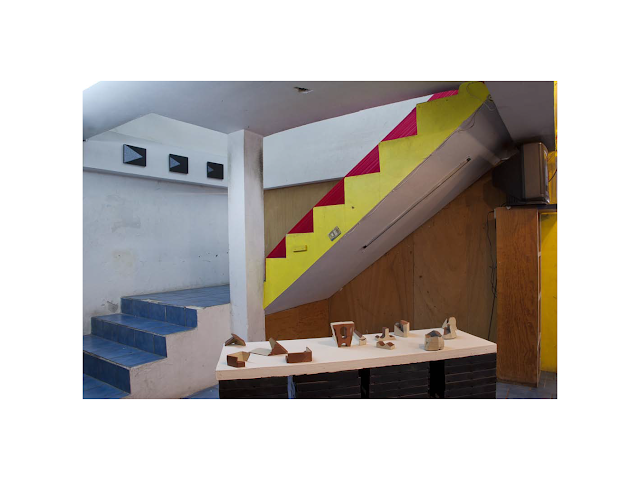 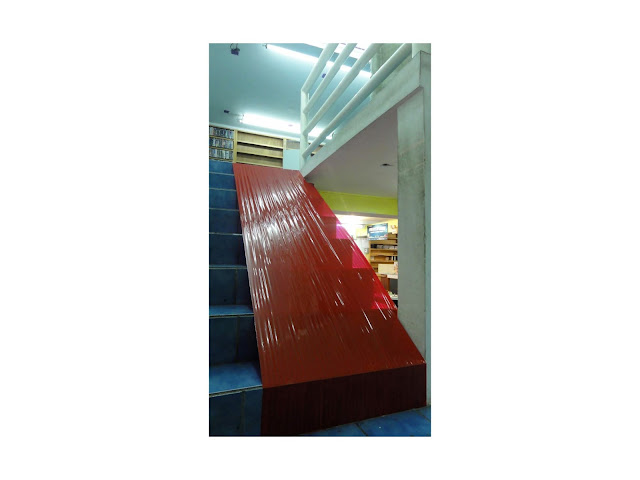 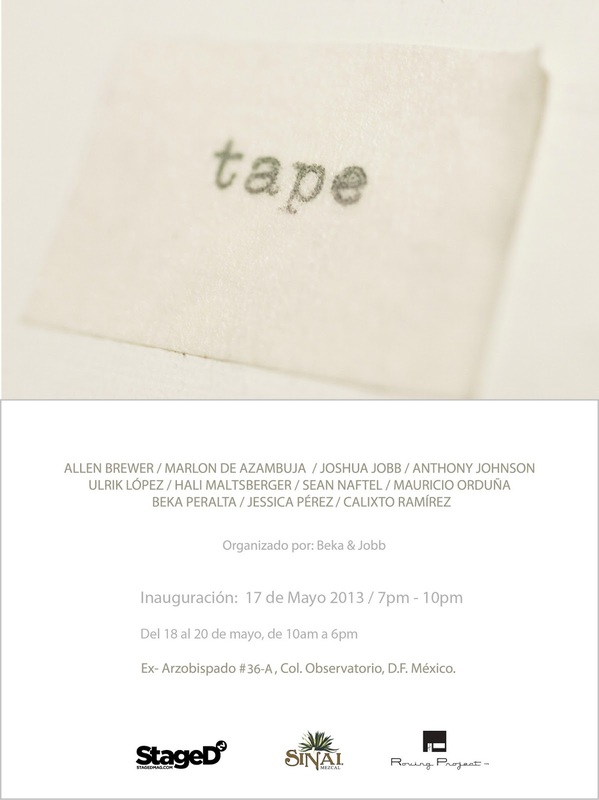 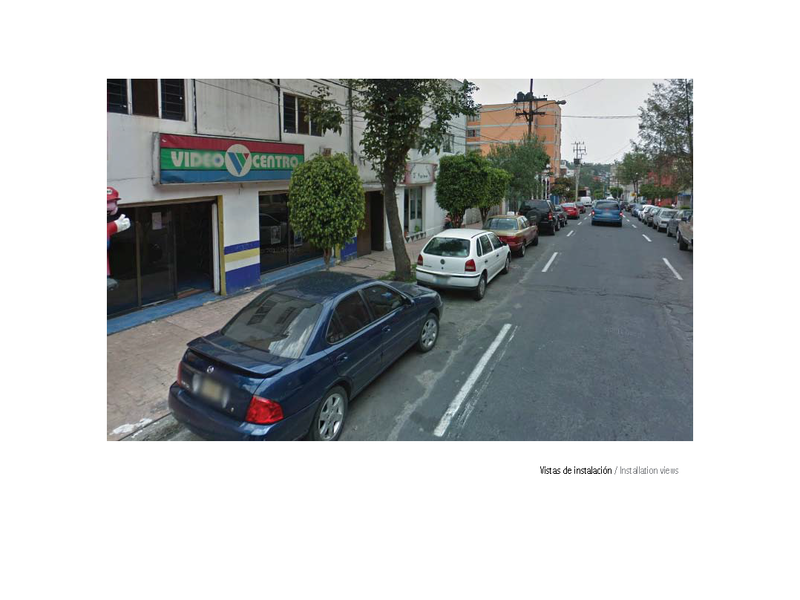 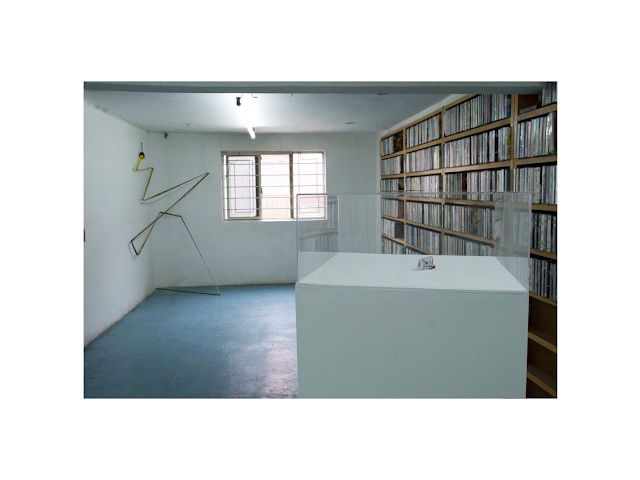 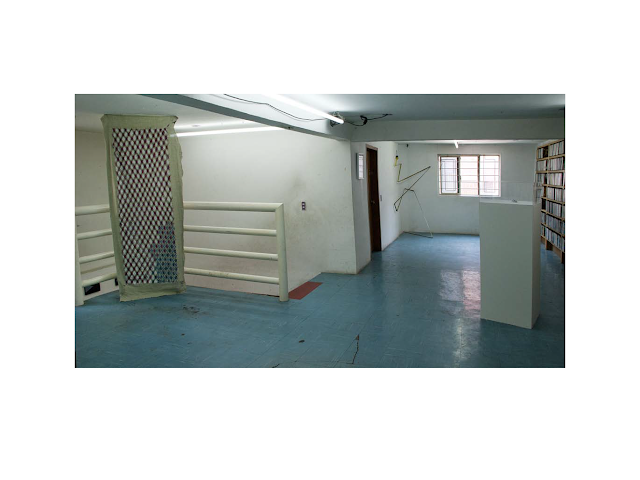 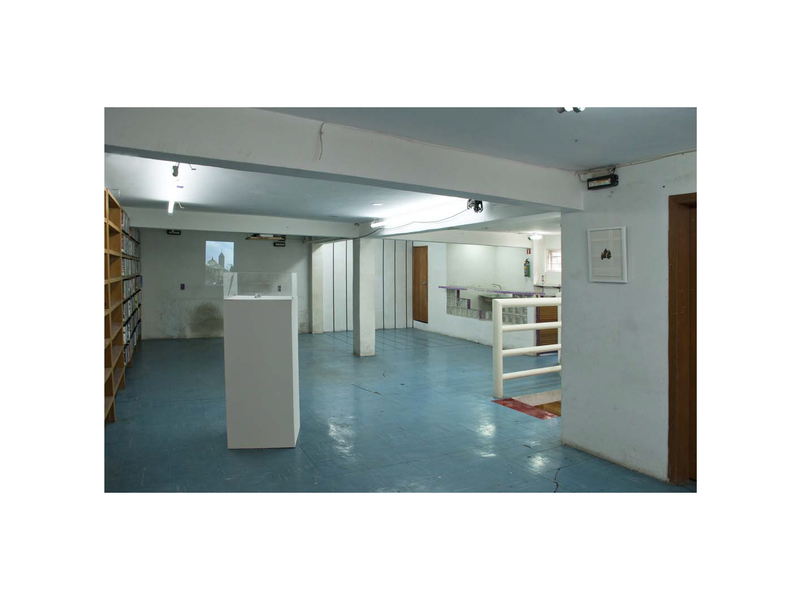 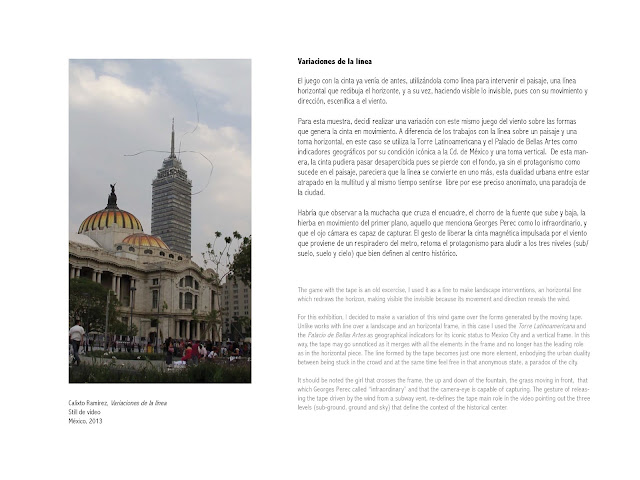 Roving Project is pleased to present TAPE, an exhibition in Mexico City organized by Beka & Jobb, which will appropriate an old video rental center still in operation. 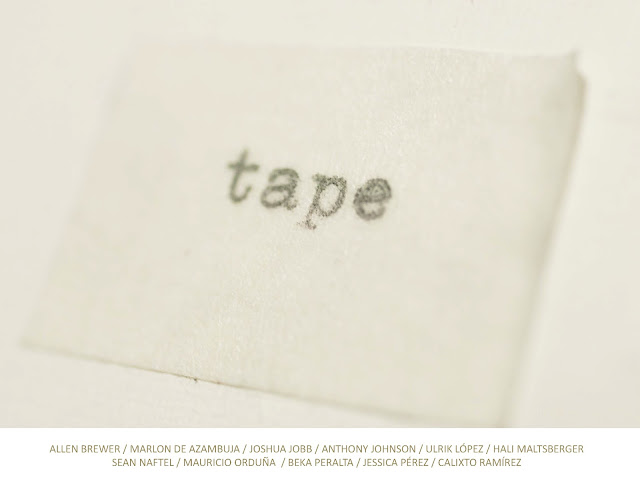 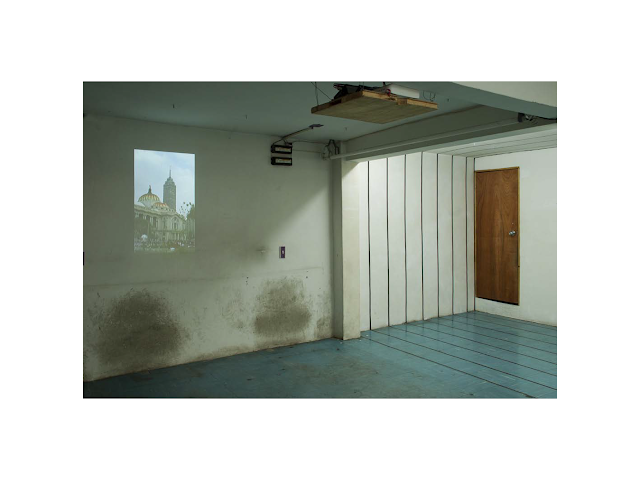 TAPE features the work of several emerging artists from different nationalities and diverse art practices whose work shares an exploration with objects, ludic qualities and elements of the absurd. Artists were invited to participate, in a game-like format, by creating a piece in response to the word/object TAPE. 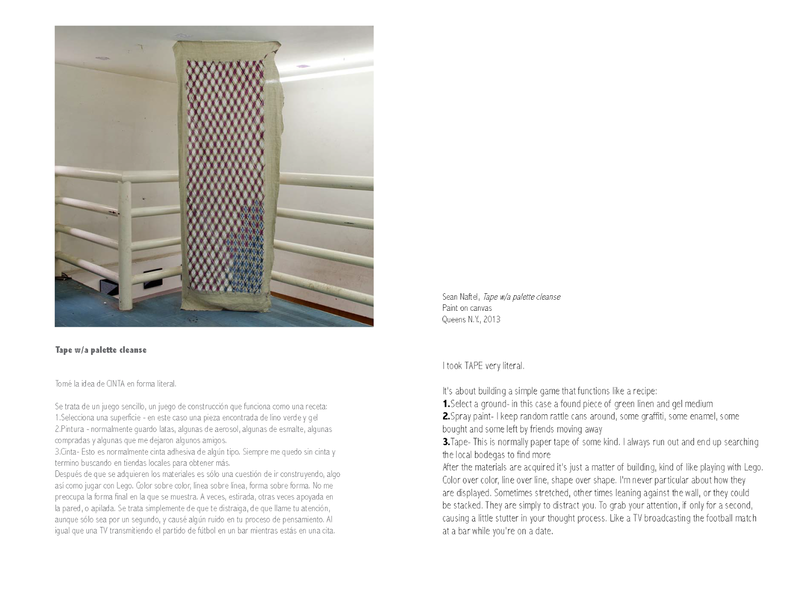 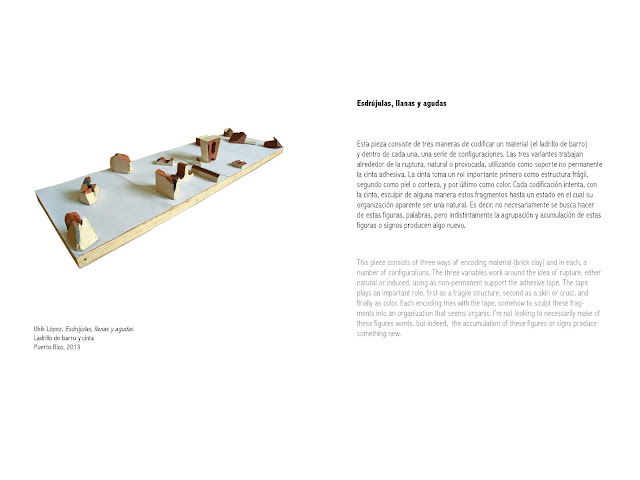 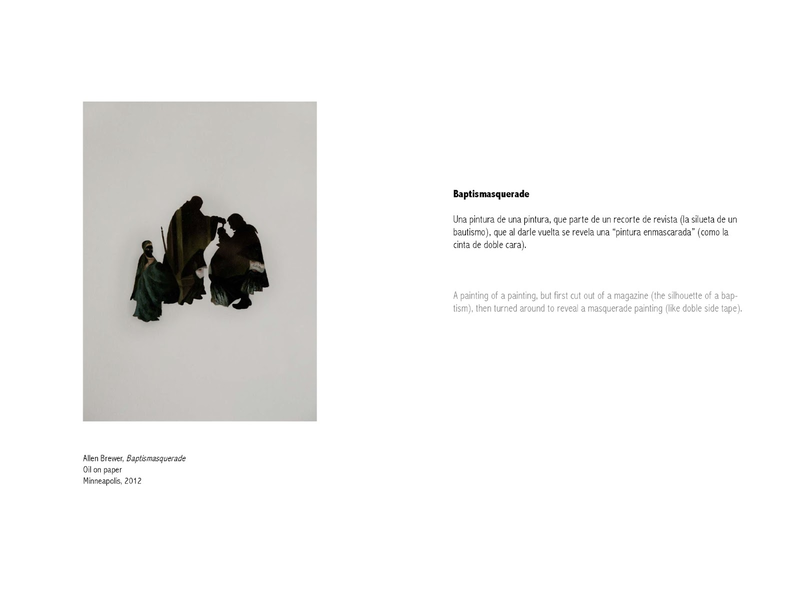 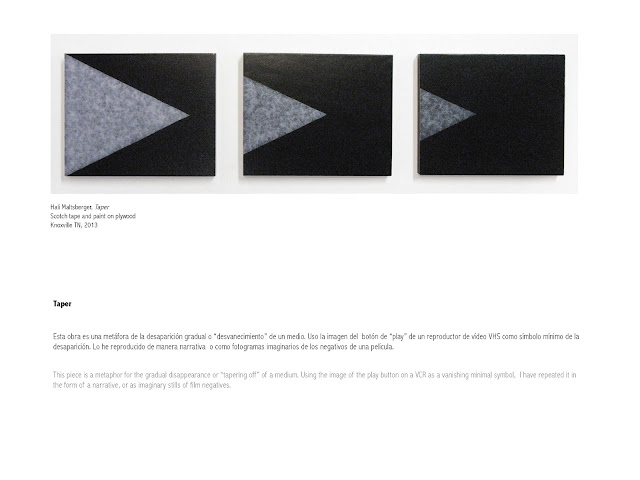 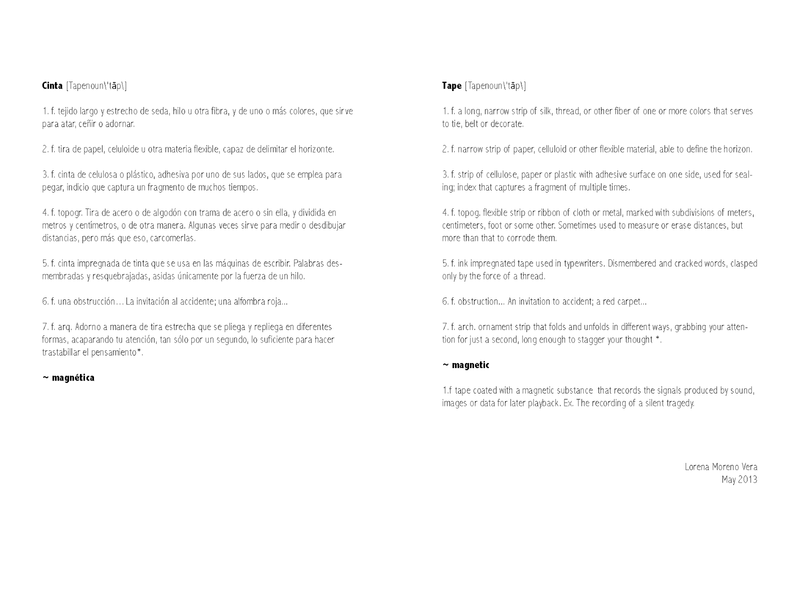 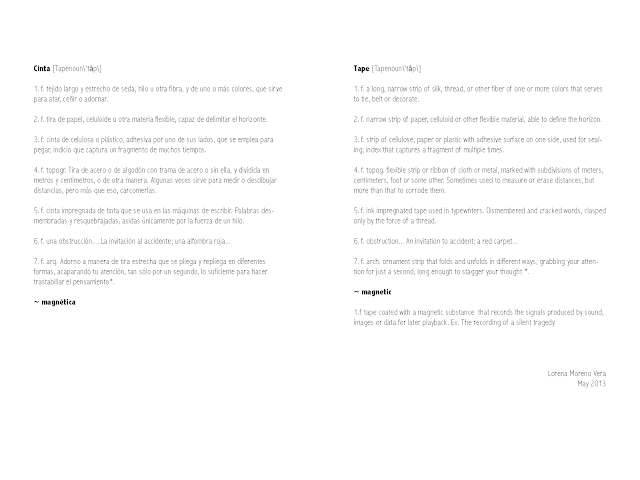 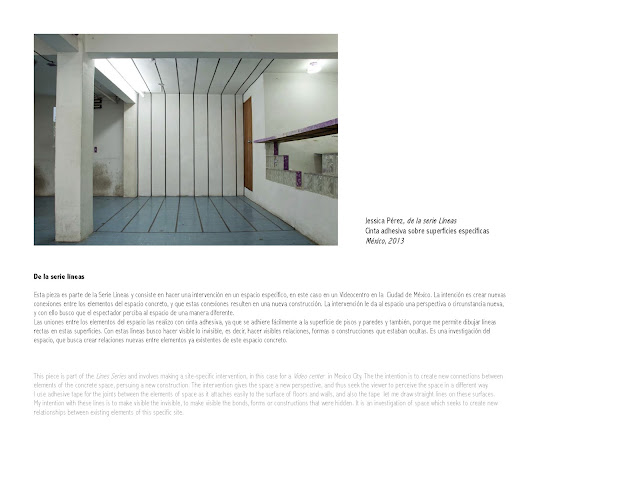 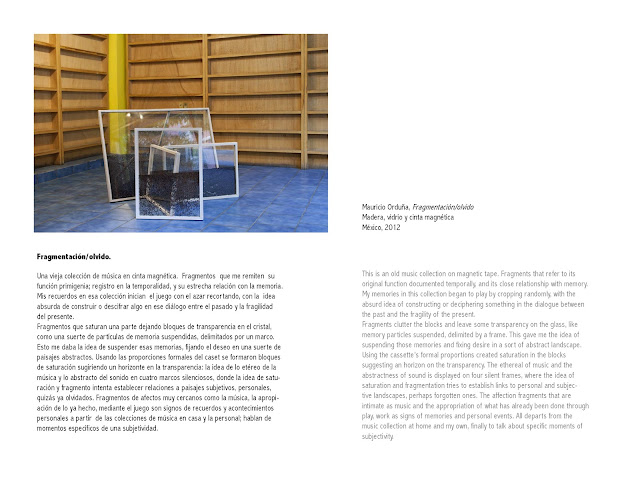 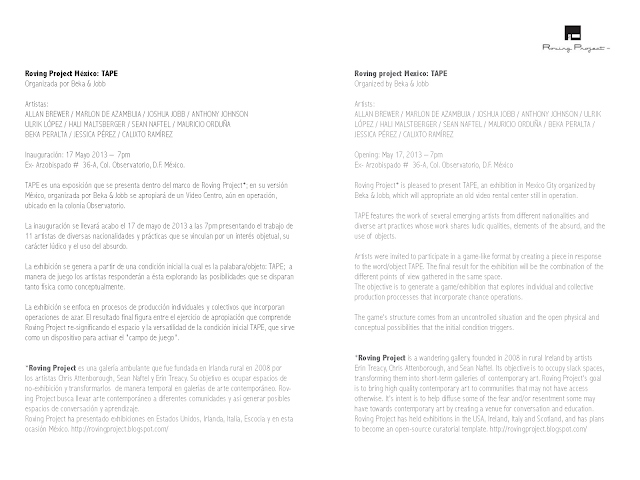 The final result for the exhibition will be the combination of the different points of view together in the same space. The objective is to generate a game/exhibition that explores individual and collective production proccesses that incorporate chance operations. The game’s structure comes from an uncontrolled situation and the open physical and conceptual possibilities that the initial condition triggers.